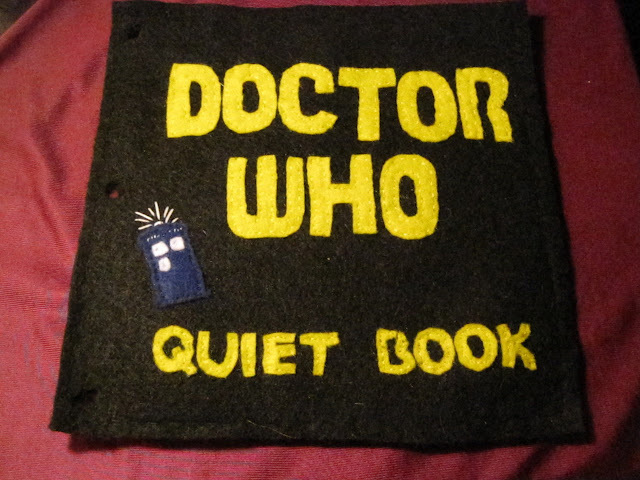 BB was inspired by that adorable Star Trek Quiet Book that went viral some months back to make a Doctor Who version for her two-year-old son. A few months and a lot of stitching later, BB's got one heckuva fabulous, timey-wimey book! The yarn tentacles are genius. 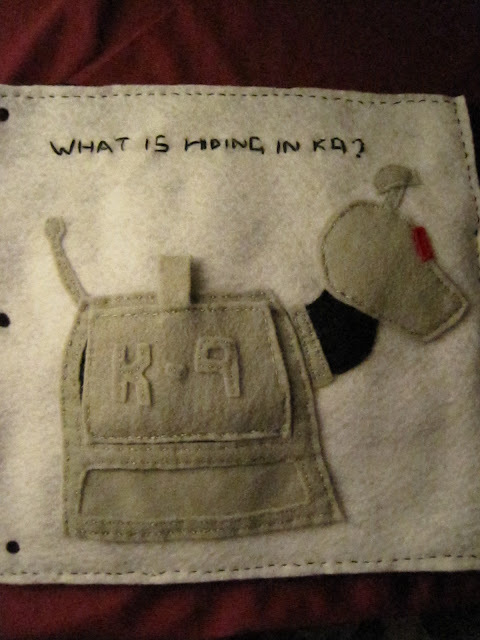 Yeah, what IS hiding in K-9, BB? Your blog doesn't say! Pose? I'd be making him dance! We can only hope BB's son isn't too traumatized. Ha! 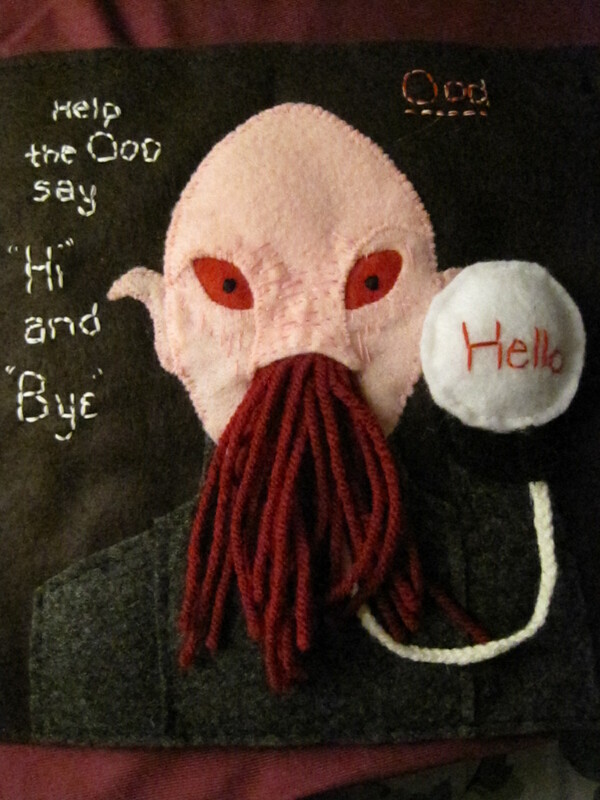 Head over to BB's Tumblr to see the rest of the pages - there's a Dalek "Accessorize" page, mkay? You want to see this. And a huge thank you to BB for sharing the fun! This is great! I showed it to my husband, saying, "Look! It's a quiet book!" He said, "Oh, you mean The Silence?" 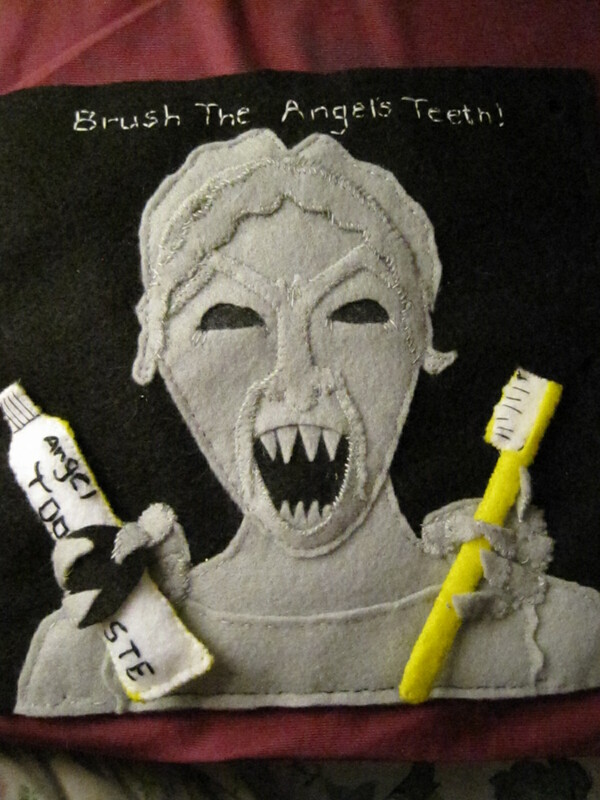 I'd be amused if he grew up brushing the angel's teeth, and then was not freaked out by angels by the time he got old enough to watch episodes like "Blink." That's amazing! I can't even imaging cutting and stitching all those pieces. You are going to inspire a whole new generation of Whovians. My sister was just asking if she had patterns available... If she doesn't, she should make some quick! This Quiet Book is amazing! I want one now and my kids are well past the quiet book stage! I am making a Doctor Who baby blanket for a friend, inspired by the classic Tom Baker scarf it will be in many different colors and much, much longer than the average baby blanket. As a bonus I am having mutual friends of the Mom and mine donate different yarns for the blanket, and the card will have every name and the color of yarn they sent in for it. WOAH!! When I submitted this to you I did not even imagine the response I would get! My tumblr dash has EXPLODED! Thanks for the post! I think I need to get some patterns together STAT!! Am I the only one who thinks this is absolutely and totally inappropriate for a child?! Tentacles and "angels" with fangs? What's next - the Chucky quiet book? I'm all for quirky and fun, but that book would give me nightmares. Oh, yes, BB, please, PLEASE patterns!! This is too fantastically awesome!! WANTS!! This. Is. Awesome. I have got to get started on my own for my little one! Thanks for sharing! My wife and I have added this to our Things We Need for When We Have a Baby list. BB, this was amazing! Jen, please do a follow-up post to let us know when she has patterns available! I may change my mind about having kids for this. PATTERNS PLEASE!!!! 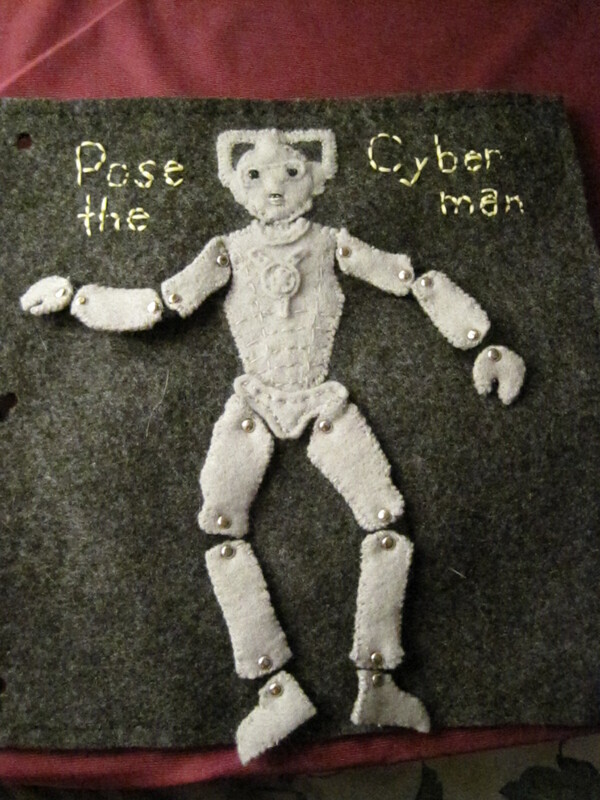 Also currently working on some more wonderfully nerdy crafts for kids as well! Whatever holds an image of an angel becomes an angel....don't blink while you brush. Very cool book my kids would love it.